The training with fitness equipment and accessory influences directly your health and well-being. Thus you should pay attention to quality when purchasing fitness equipment. 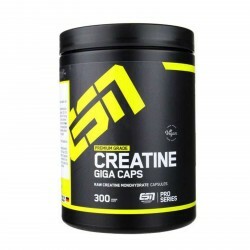 Products of the range of products of ESN Creatine offer you safety and quality for an effective training at home. In the following selection, you have the possibility to find documents (for instance, instructions or test reports) about the products of the manufacturer ESN. Please select the product, for whose documents you are interested in, from the column "products".